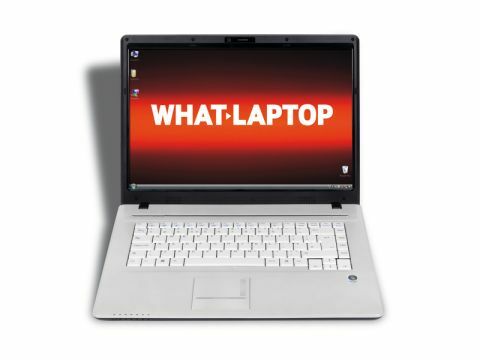 PC Nextday sells machines that offer excellent value for money, offering something to suit most budgets. The PC Nextday Zoostorm 82-5605 (£699 inc. VAT) may not be the most exciting machine, but it is powerful. You'll ﬁnd a 15.4-inch Super-TFT display in place. Image quality is similar to most of its rivals, with good colour reproduction. Movies looked impressive and there's enough space onscreen to work with a couple of documents open at the same time. Those wanting to play games or carry out intensive video editing work would be better served by another laptop, due to the use of an integrated graphics card. It's ﬁne for carrying out regular ofﬁce tasks, watching DVDs and editing photos, however. The use of an integrated chip helps to keep the cost down and increases battery life. That said, at around three hours, it still falls a long way short of many of the competition. The keyboard is well-sized, making it easy to type at speed. The keys lack travel, however, which can make it uncomfortable for those with a harder typing action. It's also one of the noisier boards here. We found the touchpad accurate and responsive, with a large strip below that serves as two mouse buttons. The chassis features a two-tone colour design, with glossy black plastics for the display, and a metallic pearl colour for the lower half of the machine. It is also robust, with sturdy plastics, and the screen is held ﬁrmly in place. Although money has obviously been saved in other areas, the PC Nextday is great when it comes to everyday performance, and those seeking a powerful machine for multi-tasking should look no further. Its Intel Core 2 Duo processor runs at 2.53GHz. The 2048MB of memory is only average, however. Other machines ran more efficiently in our benchmarks, but in day-to-day use we found it one of the most capable machines here. Features-wise, you'll find a multi-format optical drive and media card reader for backing up ﬁles to CDs, DVDs and storage cards. Transferring data to external disk is made quicker by the inclusion of an eSATA port. Both analogue and digital displays are supported, with VGA and HDMI ports in place. It may not offer the style or the multimedia capabilities of its rivals, but the PC Nextday Zoostorm 82-5605 is a laptop definitely worth a second look for busy ofﬁce workers.